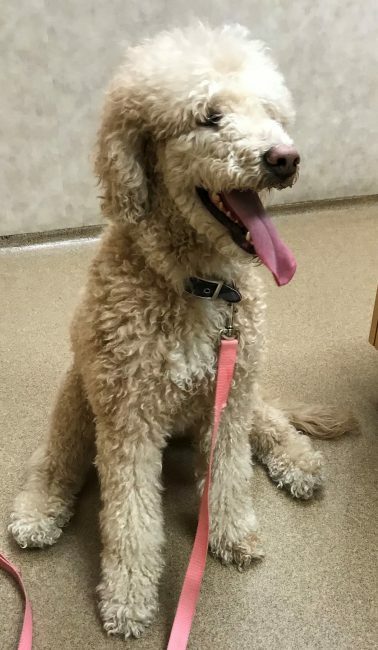 Hi, I’m Roxy, a 4-year old Golden Doodle. 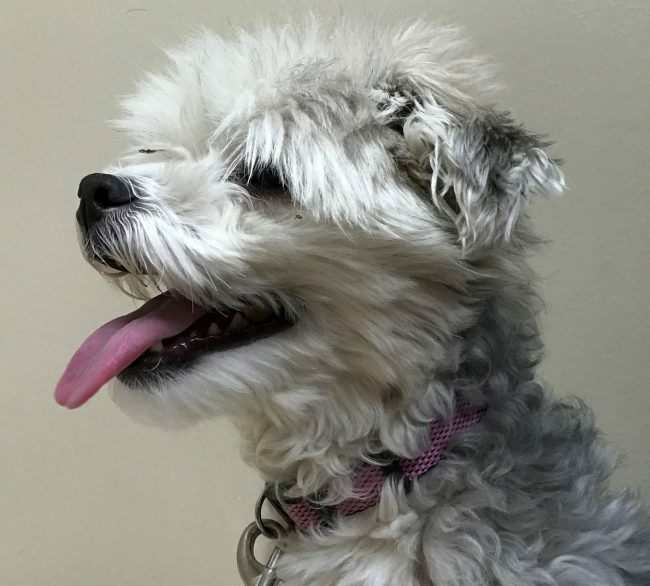 And, I’m Abby, a 7-year old Havanese, and we are totally the very Best Fur-Buddies Forever (BFBF). We are inseparable. That is why when our life-time owners had to make the difficult decision to find a new fur-ever home for us, they wanted to be sure we stayed together. They contacted GRRIN because they knew GRRIN would find the perfect home for both of us to stay together. And they did. We went to a fabulous foster home where everyone was so nice and made us feel so comfortable and happy. 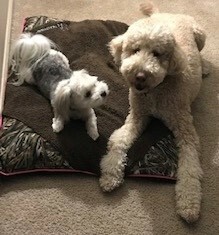 Immediately, our foster family said …”we are the sweetest, most well behaved dogs, and they are all in love with us…they are totally enamored with us and wanted to adopt us”…(YEAH). 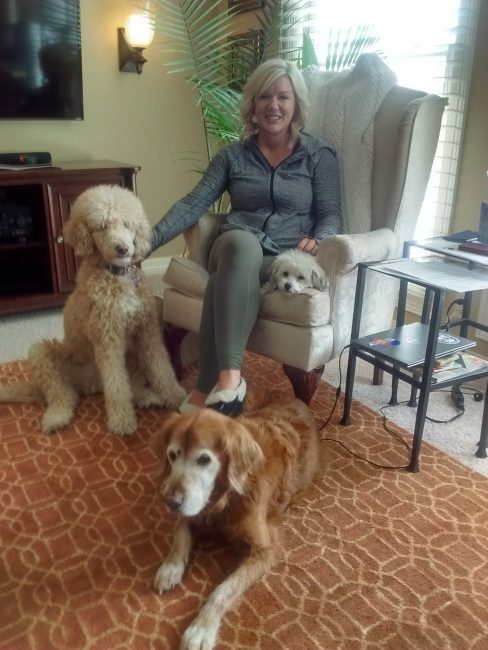 So, now we have a new fur-ever home, two fun human sisters with lots of friends who like to play with us, and a wonderful senior, fur-Golden brother. And, the best part is, we are both together (BFBF). All the snuggles and kisses could never express how grateful we both are for everything the GRRIN volunteers did for us.